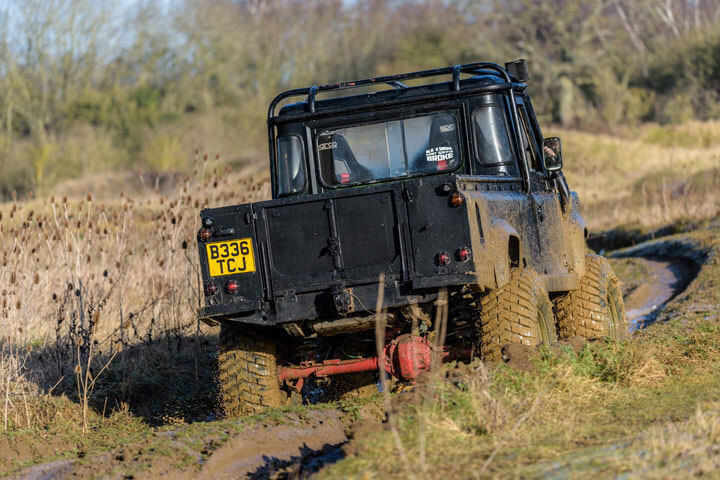 Mad Max certainly demonstrates why off-roading is one of the most exciting driving experiences, and this is an opportunity to tackle some of the toughest obstacles for a truly white-knuckle drive. This gravity-defying course may seem insurmountable, but with expert guidance anything is possible.The person driving the car will be required to sign a disclaimer accepting liability in the event of damage to the vehicle. The driver will be given an option to purchase damage waiver cover when booking to minimise their financial exposure should there be an accident. Drivers are under no obligation to purchase this optional waiver. Full details are available at the time of booking. Who wouldnt want to drive the same car as Iron Man? This amazing motor combines speed and strength in much the same way Tony Stark does, to make a supercar fit for a superhero. This R8 has everything anyone could want in a car and with an instructor to help get the most out of it on this 3 lap sprint, its sure to impress.The person driving the car will be required to sign a disclaimer accepting liability in the event of damage to the vehicle. The driver will be given an option to purchase damage waiver cover when booking to minimise their financial exposure should there be an accident. Drivers are under no obligation to purchase this optional waiver. Full details are available at the time of booking.Please note, there is a 25 supplement charge payable for bookings at the Blyton Park venue. Perfect for all petrol-heads, this package lets you drive two of your dream cars from a choice of fantastic supercars and experience a thrilling high speed ride to see how its really done. The choice of cars includes the stunning Ferrari, the powerful Lamborghini, the sleek Aston Martin, the stylish Porsche, gutsy Nissan GTR and the elegant Audi R8. Other amazing cars such as the Jaguar, Bentley Continental GT, Mustang GT and the BMW i8 may be available at certain locations.This experience is bound to leave you wanting more after getting a taste for the speed of these incredible cars. After you have registered and received your welcome, you will then be given a briefing from your professional racing instructor. After which, you will get behind the wheel of your first chosen adrenaline-fuelled supercar for 3 miles, which is then followed by another 3 miles in the second chocie of supercar. Your session will finish with a high speed passenger ride in either the Subaru Impreza, BMW M3, Ariel Atom, Mx5 Racer and many more. The cars available to drive and for the high speed passenger ride will depend on your chosen location. Please note a supplement charge is payable for bookings at Castle Combe and Dunsfold.The person driving the car will be required to sign a disclaimer accepting liability in the event of damage to the vehicle. The driver will be given an option to purchase damage waiver cover when booking to minimise their financial exposure should there be an accident. Drivers are under no obligation to purchase this optional waiver. Full details are available at the time of booking.